In the 1977 case of Floyd v. Anders, an abortionist, Dr. Jesse Floyd, was tried for murdering a baby. He "botched" the abortion, meaning his attempt to kill the fetus failed and instead resulted in a live baby who survived for 20 days then died due to his induced pre-mature birth. The case presented an interesting question for the courts. The U.S. Supreme Court made abortion legal in 1973 based upon a "right to privacy" for the mother. But if an abortion fails to result in a dead fetus and instead results in a baby born alive, now outside its mother, does the mother's "right to privacy" still have any bearing on the life of the child? In other words, does the right to an abortion end when the baby has fully exited the birth canal, or does that right continue? Is abortion about a woman being able to control what is inside her body, or about being able to legally kill her baby? Judge Clement Haynsworth concluded the right to an abortion necessarily includes the right to a dead baby. “If a state may not legislate for the protection and preservation of the life of such a fetus, it surely cannot make the surgical severance of the fetus from the womb murder under state law,” he wrote. Pro-lifers were disturbed by the precedent set forth by the reasoning in this case. If you attempt to kill a fetus, fail, and instead deliver a live baby, you still have a right to kill the baby, the judge was saying. This would mean that a baby born alive but marked for abortion does not have the same legal rights as a baby born alive but not marked for abortion; the right to an abortion entails the right to a dead baby even if that baby is no longer inside her mother. On July 12, 2001, nurse Jill Stanek testified before a congressional subcommittee on "induced labor abortions" taking place at Christ Hospital in Oak Lawn, Illinois, where she had worked. For late-term abortions, Christ Hospital was inducing labor, delivering the babies, then leaving them alone to die, testified Stanek, who is now a pro-life speaker and activist. "Christ Hospital performs abortions on women in their second or even third trimesters of pregnancy. Sometimes the babies being aborted are healthy, and sometimes they are not. The abortion technique that Christ Hospital and other hospitals use, called 'induced labor abortion,' sometimes results in infants being aborted alive, because throughout this particular abortion procedure the fetus is not killed in the uterus. The focus of this method is to forcibly dilate a woman's cervix so that she will prematurely deliver a baby who dies during the birth process or soon afterward," she said. The uncomfortable truth revealed during this testimony is that the safest late-term abortion (for the mother) is to deliver the baby whole, rather than dismember the baby inside the womb. This is why Christ Hospital used that method. But once the baby is delivered, and viable outside her mother, the "her body, her choice" argument is no longer valid. This is why abortionists have resorted to other methods that kill the fetus before removing her. Not every person who survived a botched abortion was left to die. Some were kept alive, adopted, grew up, and are now old enough to tell their stories. 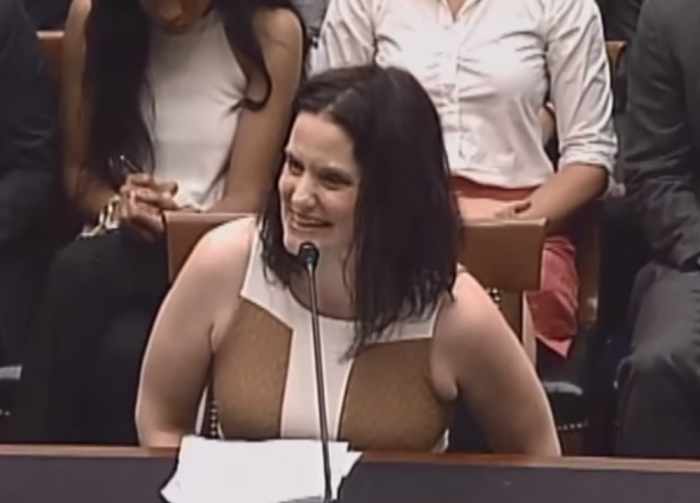 Two of the most prominent abortion survivors are Gianna Jessen, a pro-life activist and speaker, and Melissa Ohden, founder of Abortion Survivors Network, which provides support for and gives a voice to those who survived an abortion attempt. Both of them have testified before Congress on multiple occasions. In her 2015 testimony, Jessen asked, "If abortion is about women’s rights, then what were mine? You continuously use the argument, 'If the baby is disabled, we need to terminate the pregnancy,' as if you can determine the quality of someone’s life. Is my life less valuable due to my Cerebral Palsy?" Abortion Survivors Network has been in contact with 260 abortion survivors. There is no good data on the frequency of abortion survival since they're usually not reported, Abortion Survivors Network says, but based upon the failure rate of late-term abortions that number could be as high as 44,000 in the U.S. The idea for the Born-Alive Infants Protection Act, a law to recognize the legal rights of abortion survivors, originated with Hadley Arkes, a political science professor at Amherst College. For Arkes, the legislation wasn't only to protect abortion survivors, but was also a way to advance the conversation on abortion about when a person should be recognized as a person under the law. The question of why a baby born alive has rights leads to the question of why an almost-born fetus doesn't have rights, for instance. “The mere statement of an end, or an objective, does not supply the reasons, and the main point behind this simplest of proposals is to start launching the conversation and bringing forth those reasons,” Arkes wrote in Natural Rights & the Right to Choose. Due in part to the testimony of people like Jessen, Ohden and Stanek, Congress passed the Born-Alive Infants Protection Act, which was signed into law by President George W. Bush in 2002. Planned Parenthood initially opposed the bill in the House but decided not to oppose the bill when it went before the Senate. It passed the House by 186-107 and by unanimous consent in the Senate. While the law provided the legal rights to an infant marked for abortion but born alive, it did not include any enforcement mechanisms. 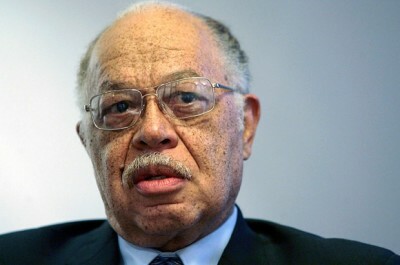 In 2010, authorities raided abortionist Kermit Gosnell's Philadelphia facility. The gruesome scene included 47 intact dead babies, baby feet kept in jars, and toilets clogged with baby body parts. Gosnell was charged with involuntary manslaughter for the death of Karnamaya Mongar, who died after Gosnell performed a late-term abortion on her, and three counts of first-degree murder for killing babies — babies delivered alive, then killed. Like Christ Hospital, one of Gosnell's late-term abortion methods was to induce labor, deliver the baby, then kill the baby. During Gosnell's trial, most of the national media first chose to ignore it, calling it a local crime story, until they were shamed into reporting it. USA Today opinion columnist Kirsten Powers, a pro-life Democrat, was one of those who brought attention to the liberal bias behind certain media's initial choice to look away from this shocking crime story being revealed in a Philadelphia courtroom. "You don't have to oppose abortion rights to find late-term abortion abhorrent or to find the Gosnell trial eminently newsworthy. This is not about being 'pro-choice' or 'pro-life.' It's about basic human rights," she wrote. "The deafening silence of too much of the media, once a force for justice in America, is a disgrace." Gosnell is now in prison for murder, but as Powers also pointed out, what he did would've been legal if he had only murdered those babies while they were still in the womb: "Regardless of such quibbles, about whether Gosnell was killing the infants one second after they left the womb instead of partially inside or completely inside the womb — as in a routine late-term abortion — is merely a matter of geography. That one is murder and the other is a legal procedure is morally irreconcilable." Virginia Governor Ralph Northam, who is also a pediatrician, was defending a late-term abortion bill during a Jan. 30 radio interview when he went a step further and defended denying medical attention to babies born alive after an attempted abortion. Late-term abortions, he said, are "done in cases where there may be severe deformities, where there may be a fetus that’s not viable, so in this particular example, if a mother is in labor, I can tell you exactly what would happen. The infant would be delivered, the infant would be kept comfortable. It would be resuscitated if that’s what the mother and the family desired and then a discussion would ensue between the physician and the mother." Defenders of Northam argue he was only speaking about do-not-resuscitate orders, which are legal and common with near-death patients of any age. But his comments were said in defense of an abortion bill, and his description sounded similar to the late-term abortion methods used by Christ Hospital, where babies were delivered but denied medical attention and allowed to die. As a result of Northam's comments, there has been a renewed effort to amend the Born-Alive Infants Protection Act to include enforcement. The Born-Alive Abortion Survivors Protection Act was pushed in the Senate by its sponsor, Sen. Ben Sasse, R-Neb. The bill would require health workers to treat all newborns the same, regardless if they are marked for abortion. It does not, as a New York Times "fact check" claimed, require physicians to use extreme measures to keep an abortion survivor alive. Rather, it requires the physician to treat the abortion survivor the same as any other baby in her care. It states in part: "In the case of an abortion or attempted abortion that results in a child born alive: ... Any health care practitioner present at the time the child is born alive shall ... exercise the same degree of professional skill, care, and diligence to preserve the life and health of the child as a reasonably diligent and conscientious health care practitioner would render to any other child born alive at the same gestational age ...."
A similar bill already passed in the House, but on Feb. 25, the Senate failed to pass the 60-vote threshold to advance the legislation. Only three Democrats voted in favor of the bill. Pro-life defenders of born-alive legislation sometimes say it's "not about abortion." That's only partly true. The law would be in effect only after an attempted abortion, not during or before. So in that sense, it has no bearing on the legal right to an abortion. But in a broader sense, the legislation is certainly about abortion because it deals with botched abortions, and it helps pro-lifers put forth their arguments. Pro-choicers want to make the debate about a woman's freedom to choose an abortion. Pro-lifers want to make the debate about personhood and when the right to life begins. Talk about protecting the lives of babies born alive helps pro-lifers frame the debate on their turf. The legislation is necessary, if babies marked for abortion but born alive are to have legal protections, but it's also useful for advancing a pro-life argument: If a the life a fetus marked for abortion but born alive should have a right to life, why shouldn't every other fetus?